For those of you who have been keeping track of the domestic motorsport scene, Raj Bharath won't be an unfamiliar name. However, for those of you who haven't, we'll give you a little bit of an introduction. 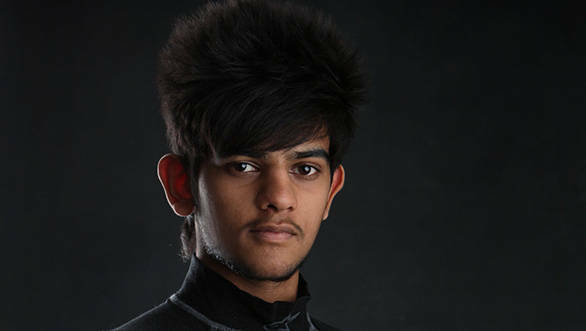 You see, back in 2008, Raj Bharath took part in the JK Tyre Rotax Karting championship at the age of 14. So impressive was he in his first year of karting, that he won the Most Promising Rookie of the Year award. Indeed, it was a sign of things to come, for Raj managed to finish runner-up in the championship in 2009, before winning the series in 2010. From there, he made the switch to the Formula BMW series in 2011 before competing in the Formula Pilota championship last year. This year the Pilota Championship has been renamed Formula Masters China, and it is in this series that Raj is competing the 2013 motorsport season. At the first round of the season at Zhuhai, Raj showed promising pace, clinching pole position and finishing the race third. He went on to finish sixth in Race 2 and put in a strong performance in the third race as well, finishing fourth. The second round of the season, at the Shanghai International Circuit, proved to be even better for the Indian driver. While Raj was set to start the race from fifth position on the grid, things were looking quite challenging for him. To make matters a little more tricky, was the fact that rain started coming down and the track was wet. While the rest of the grid started on slicks, Raj's team decided to start him on wet weather tyres in the hopes that they would provide him with enough grip over the first few laps. As things turned out, that's exactly what they did and Raj was able to make up places and put himself into the lead quickly enough, despite having lost a place during the rolling start. When the track started drying out, though, his rivals were beginning to catch up to him. Luckily for the MECO Motor Sport driver, a quick shower helped cool his tyres off a little and he managed to continue in the lead of the race. Which is where he finished. Afiq Yazid and Akash Nandy finished second and third respectively. The races at Shanghai, as it turned out, were a steep learning curve for Raj. "Understanding the new tyres and engine package took a little more time than expected, but I am happy we finally sealed that elusive win and scored a solid haul of points which helps the championship." The next round of the Formula Masters championship will take place at Ordos, China between the June 28-30.